Welcome to In My Kitchen - March edition! Nothing new or exciting has happened in my kitchen this month.... its been quite a busy month really. So I decided I would share with you some of my kitchen favourites before the month is over! You can link your kitchen on the Fig Jam and Lime Cordial blog. Thanks to Celia for this wonderful idea and hosting! When we were looking at buying a home I saw the pictures of this kitchen and I wasn't convinced at all that I would like it.... then when we came to have an inspection I instantly fell in love with the kitchen! I do believe Nigella Lawson when she says "The kitchen is the heart of the home". If you don't enjoy being in your kitchen then meal times become a real chore. And I really do believe that meal times are very valuable to family life. Well half of it..... the side where I'm standing to take the photo has a fridge space and a walk in pantry. I love our walk in pantry. Its incredibly spacious and so easy to access. I love having a microwave shelf. It frees up valuable bench space. I also love the green microwave cover that we use. I picked it up from Ikea and it helps to reduce splatters and keeps the microwave more clean. I wish the blue one was available when we bought ours... it would definitely suit our kitchen more!!! I LOVE LOVE LOVE having a dishwasher! Washing up is my least favourite home duty. Packing and unpacking the dishwasher is so relaxing for me! When we moved in I wondered how I would use a little half/side cupboard. I found that it stored our tupperware containers perfectly. Its such an easy way to have these regularly used containers easy to get at. I like to keep the circular containers on one shelf and the rectangular/square ones on another shelf. I find they stack much more easily that way. I also love having a few big drawers under our oven/grill. 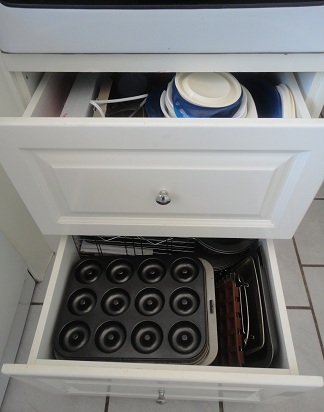 Its so easy to store all our baking trays and pans in a drawer. I have mixing bowls, measuring cups, cookie cutters, electric beaters etc in the other drawer. Its also really handy to have all the baking supplies in one easy spot to access right near the oven. I cannot leave my kitchen without mentioning my coffee machine! It is used daily and much loved. I swear by Sunbeam espresso machines - they make great coffee! And to finish off I'll add a picture of something that will probably be all finished by the time next month comes! Slim Me Noodles... I was fortunate enough to win these. Check out Claire's amazingly awesome blog full of wonderfully tasty and easy recipes at Almost Skinny Vegan Food. These 'noodles' are made using the vegetable root of the konjac plant. They are very low in calories and are free from gluten, sugar, fat and soy. Their texture is quite similar to pasta. They are really easy to 'cook' (just need to be soaked in hot water) and don't really have any taste so you can eat them with anything! My opinion is they are best eaten with lots of sauce! You can read about them and purchase them from this link. If ever I find one then I will definitely buy it and hang it up too! Wash pots and pans and cook. But most of all, Thy Love. For all our daily bread. 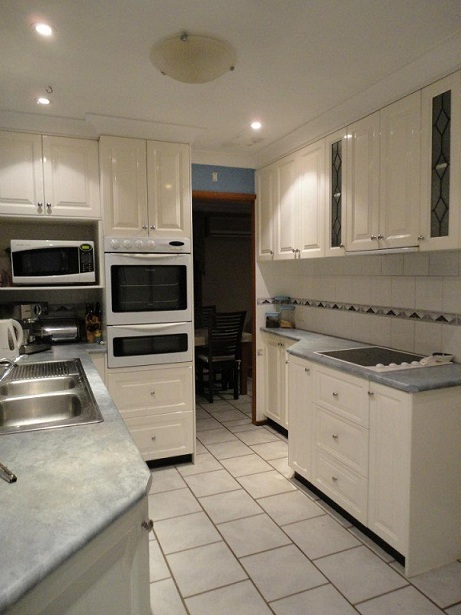 What's your favourite part of your kitchen? I love a meal that is easy to prepare but also very satisfying. Chop the potatoes into rough 1-2cm cubes - no need to peel them though I do recommend giving them a brush first! Chop the zucchini into slices. Remove the leaves from the kale stems. Place all these ingredients into a large stock pot. Crush the garlic over the veggies, add the stock powder and pour the water over the top. You may need more water depending on the pot size - you need enough to just cover the vegetables but not drown them. Bring to a boil and then lower the heat and leave to simmer with the lid on for 20 minutes. Stir in the tomato paste and serve. You may want to add some fresh herbs to serve :-) I recommend parsley. This is my contribution to Healthy Vegan Friday for the week. This cake is deliciously light and fluffy. Its so easy to make that you can prepare it with limited notice! This is a great basic cake. I love having it plain but you could serve it with icing/topping, berries or just a light sprinkling of icing sugar. Place all the dry ingredients in a large bowl. Stir until well combined. Make sure the cocoa powder doesn't have any clumps in it and that the baking soda is stirred in thoroughly. Make a well in the center of the dry ingredients and add the wet ingredients. Pour into a baking dish of choice (I use a 24cm square dish). Bake on 180C for 35-40 minutes until a skewer poked into the center comes out clean. It keeps well when stored in an air-tight container. I can't really give an estimate of 'days' because it never lasts more than 2 in our home!!! Next Monday marks the start of Meat Free Week. It runs from Monday 18th March -Sunday 24th March. Its a fundraising event to raise awareness about factory farming and excessive meat consumption. There are many ways to get involved. You could just join the challenge by agreeing not to eat any kind of meat for the duration of the week. You can sponsor someone who has signed up. You can buy t-shirts to show your support for the event. 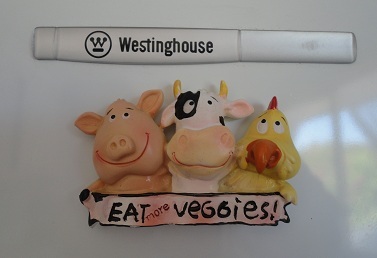 There is even a link for people who are already vego showing ways that you can help the event too - perhaps cooking a veg meal for someone, holding a fundraiser evening or organising a meal out at a veg restaurant! 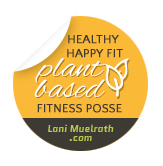 Research is continually showing that eating more plant-based meals is much better for our overall health. Not to mention the huge cost to our environment that raising animals for consumption is having! And of course, lets not forget the animals involved - they are living creatures with thoughts and feelings too! Just like you and me..... anyone who has pets knows that animals have feelings too! You can also check out the recipes provided on the meat free week page. They all look delicious if you ask me! "any change, no matter how small, is better than no change at all"
You can read about my journey here --> my vegan story. 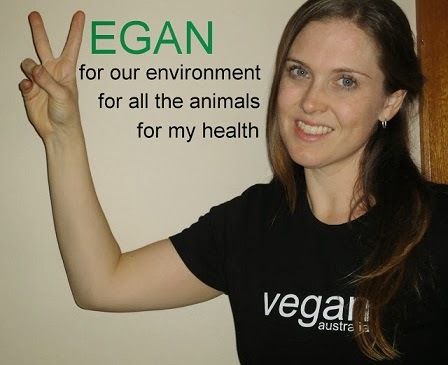 Are you going to join in meat free week? How do you intend to get involved? For those of you who are musically inclined you may have realised that I'm clearly not talking about playing the piano here...... since there is no musical note "P". 2 'major' parts of our cupboard! I tend to be someone who tries any new plant milk that comes out. I like to use different types of plant milk for different purposes too. I find oat milk is quite thick and rather bland. Of course it is wonderful on oats but I don't use it for too much other than that. The Australia's Own Organic brand provides a range of organic plant milks with few additives which is always a good thing in my opinion. Note that their oat milk does contain honey so it will not suit people who choose to avoid bee products. Rice milk is quite sweet - even though it doesn't usually contain any sweetners. I love cooking with ricemilk as I find the amount of sugar in a recipe can easily be reduced then. Vitasoy wins in my books - easily! They use whole soybeans instead of soy protein (which I largely try to avoid). All their products are non GMO. I love the range that Vitasoy offer too. All my favourites just so happen to be from the Vitasoy range! I love making my morning coffee with Vitasoy's Organic Soymilk. It is rich and creamy and not watery like some milks can be. It has a delicious flavour and it has low sodium compared to other soymilks too. My coffee simply isn't the same using other milk! Also it contains B12 which is a bonus too - 1ug per 250ml. The Vitasoy ricemilk is my favourite for cooking with for the reasons mentioned above. It also makes for a delicious addition to smoothies. I also must admit that as a plain 'drink' it is my favourite! With all of that said, I still do tend to make my own soymilk for everyday use! I have had a soy milk machine now for 18 months and it has well and truly paid for itself! Of course home made soymilk doesn't last as long as store bought, and it doesn't have quite the same consistency or flavour to it. However, it is completely additive free and has just ONE ingredient! Can't beat that for everyday use! I have found there is not a huge range of these available. Usually just a generic brand and Val Verde is available in standard grocery stores. I cannot get over the MASSIVE range of pasta sauce that the stores now stock! Personally I don't use pasta sauce. I prefer to use a passata base and make my own 'sauce'. I don't like the amount of addictives and oils that are included in many of the pasta sauces and that is why I prefer to make my own. Of the sauces shown here I was surprised to find that all of them (except Coles brand) had exactly the same amount of sodium and each also included acidity regulator E330. Now even though I consider myself to be a numbers person - I don't like numbers in my food! So for those reasons, the winner for me is "Coles" having no "E"s included and with nearly a quarter the amount of sodium of all the others. What is your favourite plant milk? Do you prefer the make your own pasta sauce or buy a premade one? 4 simple ingredients to make delicious healthy cookies! Now that is something I can manage even after a hard days work! Chop or cut the apple into small pieces. Add in the almond butter. Stir until well combined and the mixture holds together. Place rounded tablespoons of the mixture onto the tray. Bake at 180C for 10-12 minutes. They will brown quickly so don't forget about them!!! This recipe is my submission of the week towards Healthy Vegan Friday. Stir until well combined and the sugar has dissolved into the cream cheese. Squeeze the juice of half a lemon into another bowl/ramekin & add an equal amount of water. Slice an apple into thin slices. Let them soak in the lemon mixture for 3-5 minutes. This will stop them from turning brown. Put both the apples and the dip into portable containers. This is a great fall back recipe to have on file. Its so much easier than standing over a stove and stirring traditional risotto recipes! It makes a big batch and you can keep it in the fridge and just add different flavours to create a few different meals. It's also really tasty by itself served as a side. Put all ingredients in an oven proof dish. Stir well. Cover with a lid and bake at 200C for 30 minutes. To add the various flavours simply add ingredients of choice to a frying pan and dry fry for 5-ish minutes. Add the rice and another 1/2 cup water. Stir for 5 minutes until all ingredients are warmed through. 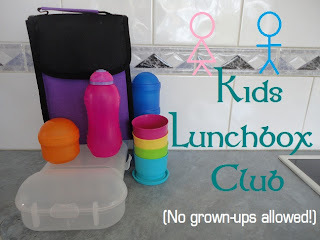 An easy lunchbox treats that the kiddies are sure to love! Pour a mixture of the nuts, seeds, and dried fruit into the ziplock bag. Separate the mixture in half down the middle and close the bag releasing as much air as possible. Place the twist tie in the middle where the gap is and gather the bag. Twist the ends together. Twirl the ends of the twist tie around your finger to create a circle shape. These will become the butterfly's antennae.